Our key chains are 2.5" x 1.25". Made of an aluminum material, much like the real deal, these keychains are sublimated through a heat printing process, allowing us to print in full vibrant color. 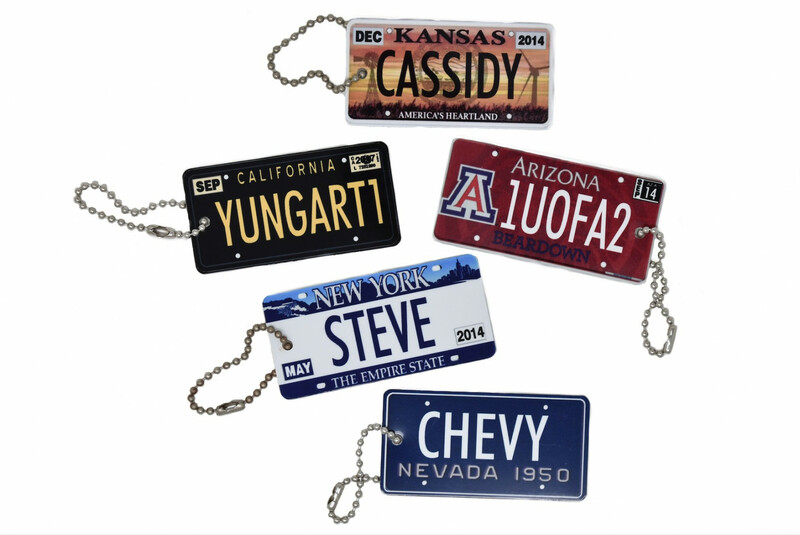 We are able to create license plates from all 50 states! See those little registration stickers? We can use your birth month and year or any date of your choice!